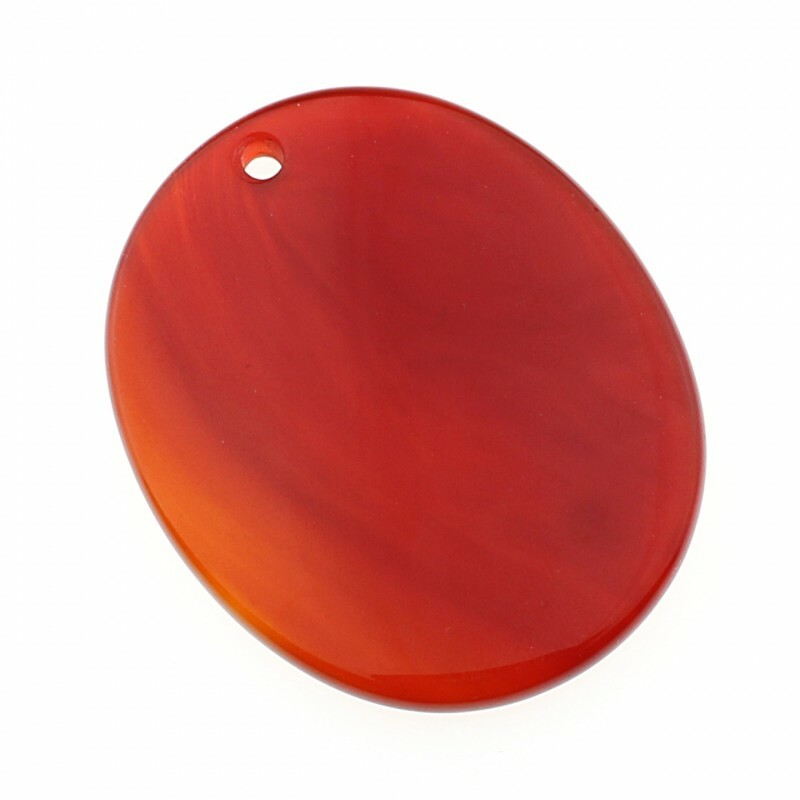 Flat oval pendant of carnelian or onyx. These beautiful pendants are available in carnelian and onyx. 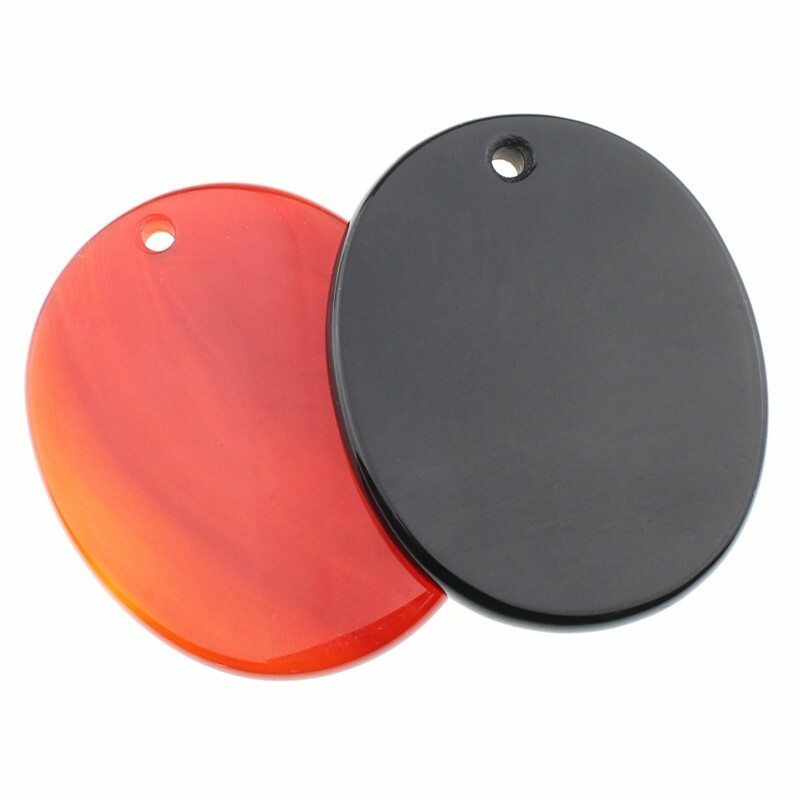 They are polished on both sides, which gives them a magnificent shine. 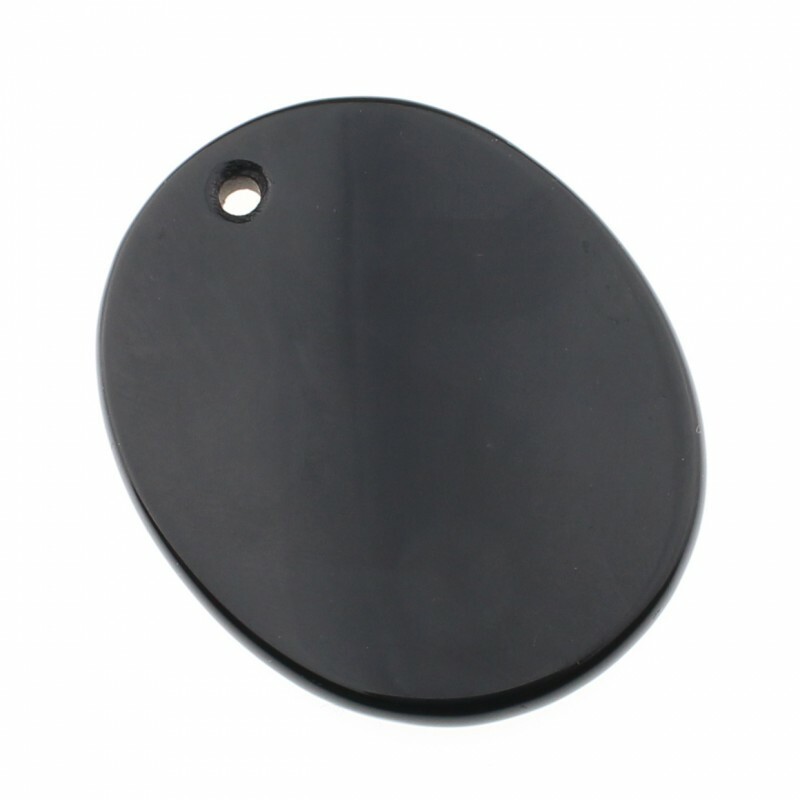 Measures: 5 cm x 4 cm x 0.5 cm and 20 grams.